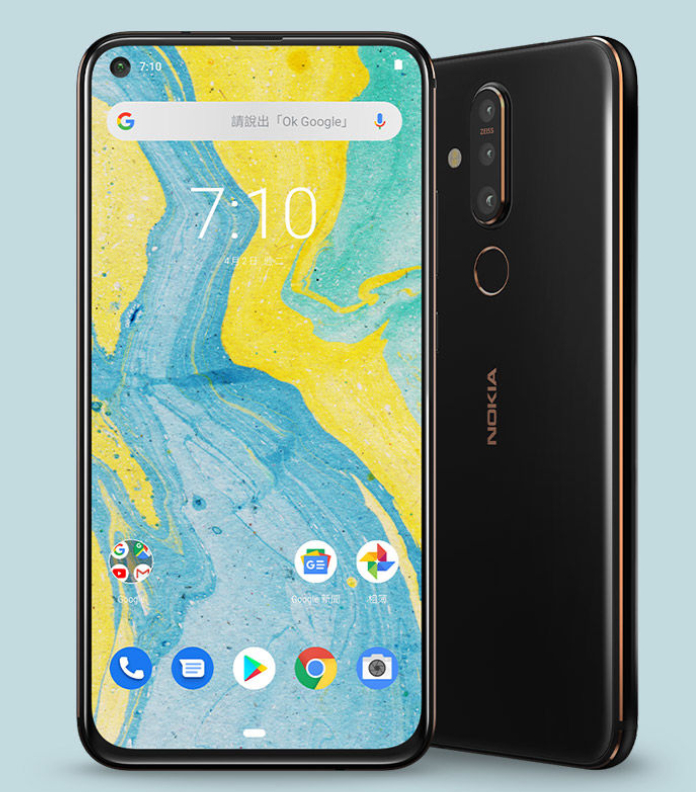 Nokia's new punch-hole camera phone, the X71, has been launched in China today (April 8, 2019). This device is a variant of the 7 Plus, but with a triple rear camera set-up. It is available in 6/64GB or 6/128GB configurations. 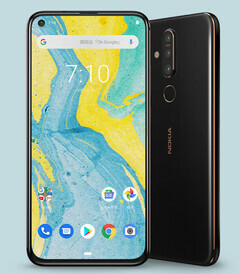 The Nokia X71 was first released to the Taiwanese market about a week ago (April 4, 2019). Now, it is also accessible to Chinese customers on the HMD Global site for that country. This phone distinguishes itself through its black-and-copper color scheme (which is the only such SKU available), its punch-hole selfie camera and triple rear cameras. One of these is a 48MP module, accompanied by 8MP ultra-wide angle and 5MP depth-sensing components. They are also joined on the back of the phone by Zeiss-branded lenses. The X71 also has a 6.39 edge-to-edge "PureDisplay" FHD screen; otherwise, its specs are those of the Nokia 7 Plus. The X71 is being sold at 2199 yuan (about US$327) for its 6GB/64GB RAM/storage variant; alternatively, 500 (~$74) yuan more doubles this internal storage. It may also become available on a more worldwide basis soon, although it may have a different product name by the time it gets there.